For the first time, the United States and eight other nations will join Ukraine in the country’s largest aviation exercise — dubbed Clear Sky 2018. The Eastern European training exercise aims to enhance capabilities in the region to secure air sovereignty with NATO partners and other allies, according to an Air Forces in Europe press release. Clear Sky will focus on air interdiction, air-to-ground integration, air mobility operations, aeromedical evacuation, cyber defense and personnel recovery. The exercise will take place in mid-October primarily at Starokostiantyniv air base, Ukraine. Approximately 950 personnel from eight other nations' air forces, including Belgium, Denmark, Estonia, the Netherlands, Poland, Romania, Ukraine and the United Kingdom, will participate. 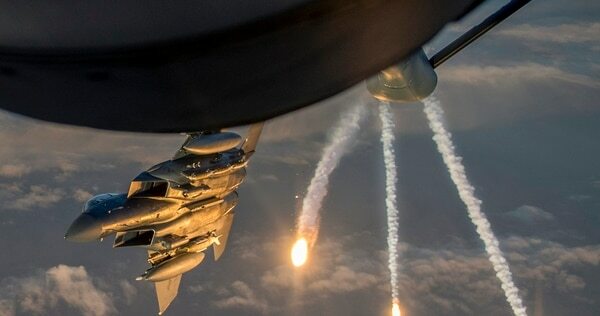 “Aircraft participating in Clear Sky are distributed across several bases in the region," Air Forces in Europe spokesman Maj. Tristan Hinderliter said in an email to Air Force Times. Hinderliter added that the unmanned MQ-9 Reaper drone will also participate from Miroslawiec Air Base, Poland. Reapers began flying operations from Poland in May, “due to its strategic location in Eastern Europe,” Auburn Davis, a civilian Air Forces in Europe official, previously told Air Force Times. The Pennsylvania ANG will provide ground-based joint terminal attack control instructors for the close-air support portion of the exercise. JTACs from the U.K., Poland, Belgium and the Netherlands will also be training at Clear Sky, according to Hinderliter. “They’ll be operating at a training range in the vicinity of a town called Isiazlav, about an hour north of Starokostiantyniv,” he said. “In addition, Polish and Romanian fighters will be operating out of bases in their respective countries." 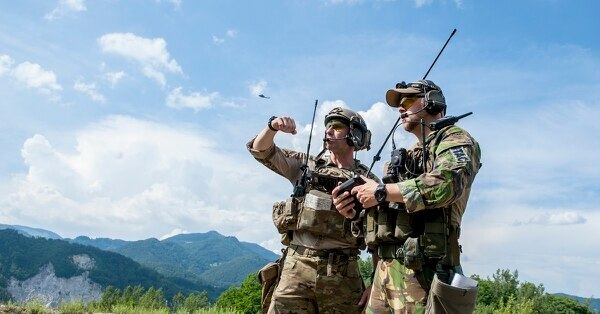 JTACs have become a staple of publicly released photos and video from U.S.-led NATO training events, such as Saber Strike 18, an annual joint exercise conducted throughout Estonia, Latvia, Lithuania and Poland. Training NATO JTACs in how to call for close-air support from U.S. aircraft will be important if war were to break out in Eastern Europe. In such a conflict, the U.S. Air Force may not always be able to provide its own JTACs to all ground forces, and allied nations could have to fill the gap. This year also marks the 25th anniversary of collaboration between the California Air National Guard and Ukraine as part of U.S. European Command’s State Partnership Program. That existing relationship is why California Guard aircraft have such large presence in the exercise. Relations between Ukraine and NATO formally began in 1994, when then-Foreign Minister Anatoliy Zlenko signed the Partnership for Peace framework document. Plans for NATO membership ended, however, with the 2010 election of Viktor Yanukovych as president. Then, In 2014, anti-government protests drove the Moscow-friendly president from power and a pro-Western government took over. Shortly afterward, Russia invaded and then annexed the Crimean peninsula. Ukraine has been involved in a low-intensity conflict with Russian proxy forces ever since, and has long sought lethal military aid from the United States and other allies. Ukraine has showcased its new Javelin missiles for the first time since the United States approved the sale of the weapons. Currently, the conflict in the country is set at a simmer, with Ukrainian and pro-Russian separatist forces bogged down in the eastern part of the country, known as the Donbas. Although the last attempt at a cease-fire did not hold, with gunfire and mortars exchanged almost daily, not much strategic progress has been made for either side. To date, fighting in Ukraine has killed roughly 10,000 people, including more than 2,000 civilians, according to the International Committee of the Red Cross. In the wake of the Russia-Ukraine conflict, NATO cooperation with the country has grown in the form of military education, professional training and increased air data sharing, according to NATO. In June 2017, the Ukrainian parliament declared the country’s aspiration to become a NATO member as a strategic objective for the country. Commitment to Europe is a growth point for the Air Force under Air Forces in Europe commander Gen. Tod Wolters. The fiscal 2019 budget, in particular, is expected to grow, Wolters said during a July teleconference.